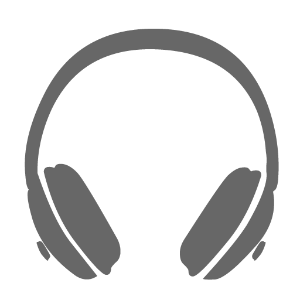 Today starts our series on applying IDM™ to your business. Many papers and books have been written addressing the application of Decision Analysis to the Energy Industry. This blog will take the approach of the application and lessons I’ve learned applying IDM™ to Technology projects – in Energy as well as other industries. Let’s start at the beginning. What do we mean by IDM™ (Integrated Decision Management) and where does it come from? 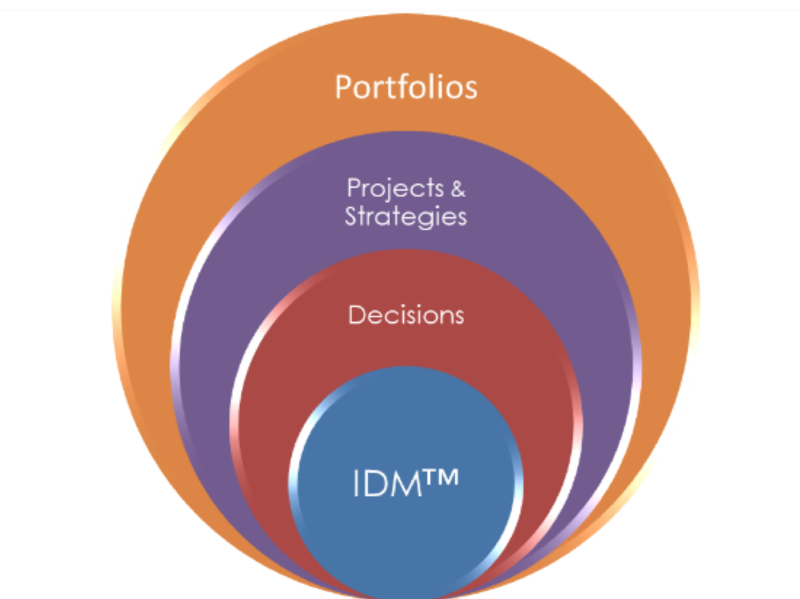 IDM™ is the branded version of Decision Analysis, created by Decision Strategies and adopted by KCA. IDM™ builds on the framework of Decision Analysis by adding tools specific to clarifying the project frame in a way that helps bring clarity of the opportunity, alignment of the project team and organization, and reduces the possibility the team will be “recycled” to repeat or expand their analysis. IDM™ also introduces analysis tools not originally introduced in Decision Analysis to support portfolio management, qualitative decision making, and the value of learning. If some of these terms seem foreign to you, no worries – each tool and concept will be explained as we g o with examples of their application. At KCA, we believe the principles and tenets of IDM™ are at the core of all we do. Decisions are best made using a methodology that clearly frames the alternatives, understands the tradeoffs, uses the best available expert forecasts, applies logic rather than instinct, and has the backing of the team and decision makers to see the decisions applied through their end result. Projects and Strategies may be viewed as a set of Decisions organized in a logical series of executions and aligned with the goals of the broader organization. Portfolios are really nothing more than a series of projects, although each may be in different stages of maturity and execution, and each may support a set of conflicting objectives. These differences are what makes portfolio prioritization and management challenging. Integrated Decision Management (IDM™) is a stage-gated process involving a set of CLARIFY & EXPLORE steps to frame the opportunity, an EVALUATE step to asses the opportunity and make the selection of the alternative(s) affecting the decisions, followed by the OPTIMIZE & IMPLEMENT step to to execute, monitor, and adjust the decisions as the project or strategy unfolds. The three (3) paths interwoven between the steps represent the three (3) roles of PROCESS, FACILITATION & DECISION MAKERS. So why use this sort of process? Why can’t we make decisions the usual way? What makes these decisions so difficult? When lacking a formal process to work through decisions, one of two processes generally happen. Either 1. The boss says “I know more than others, I’m the expert, it’s my responsibility, we’re going to do this…..” or 2. The boss asks for analysis, different cases or scenarios are proposed, the modeler makes the calculations using the boss’ assumptions, and when the outcome doesn’t look quite right, the assumptions are changed until they do. Companies fall back to these approached because the future is uncertain and can be scary to some. The first boss says, “do this” and implies he/she knows the future and knows exactly what to do. The second boss says, “I don’t know for sure what the answer is, but I’m very good at making assumptions about the future.” Of course, neither case is true. Knowing, or making assumptions about the future is risky in the least and dangerous at it’s worst. In a past life*, I had a V P ask me to assess the commercial viability of investing in a trading internet startup. The investment was about $7 Million and would be recovered as the business generated a few 10ths of a cent for each trade done on their platform. It took 4 iterations of me going back to the VP and showing how it was not going to pay out when he would change the assumptions on the number of customers, the fees per trade, or the growth in the market. Eventually the project looked pretty good. The company made the investment and the business closed its doors eight months later. What did we get for the investment? I got a cool fleece vest, a toy truck and a nerf football. And the VP said “well, we learned a lot about working with internet companies”, but still, $7 Million? Integrated Decision Management removes the role of the boss as the single expert. It prevents the tendency of recycling to different (better) numbers, and instead applies a thoughtful, transparent and sequential analysis to the problem or opportunity. Next time, I’ll define the details of the process and its deliverables and examine the first tool in the process. While not every tool is used in every project or strategy, we’ll go over each one, so you may begin to complete your toolbox and apply these processes to your decisions. As always, if you have comments or thoughts you’d like to share, please feel free to contact me!